A few weeks ago we took a trip to the zoo, it was especially hot that day so I wanted her hair up off of her neck and back to help keep her cool. I decided to use the style she already had in (Alicia Keys Inspired) add a few more cornrows, attempt to do a spiral cornrow, and finish it off with some braided pigtails. 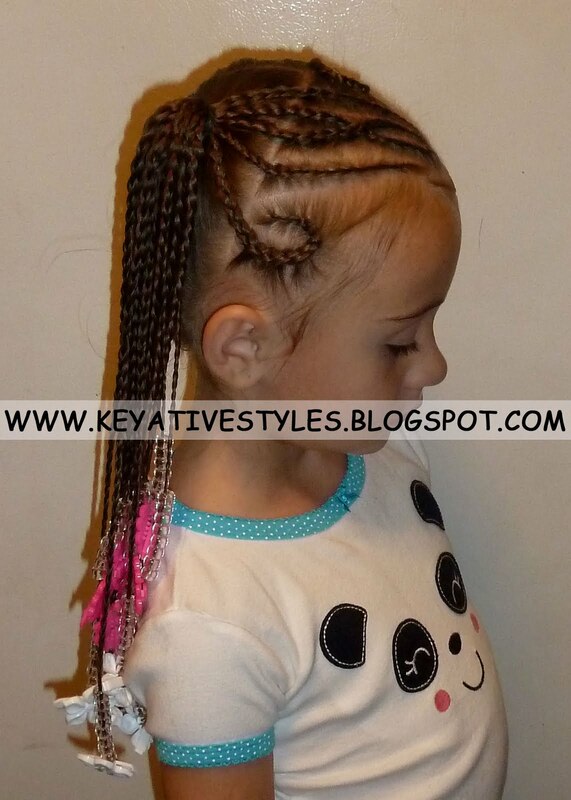 I started by parting her hair ear to ear, then making a diagonal part to do the first cornrow. 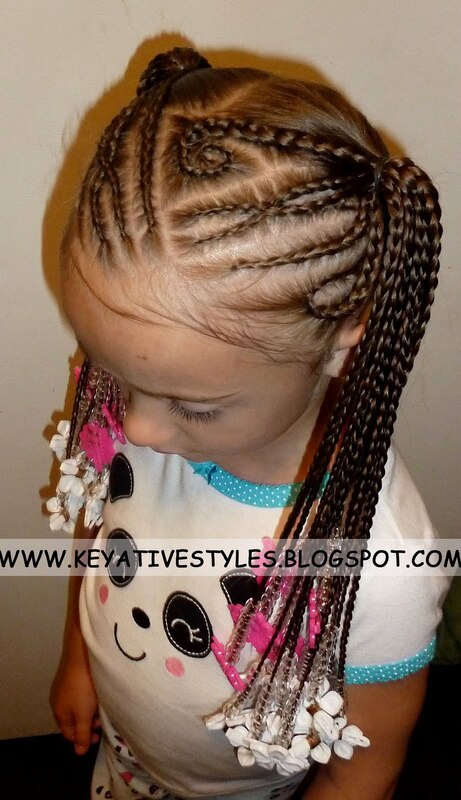 I rotated doing a straight back cornrow and a crisscross cornrow. 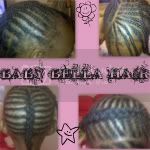 Using the leftover hair at the top of her head, I did a triangle shaped spiral cornrow. I then parted her loose hair in the back straight down the middle and gathered it into 2 pigtails, I did about 15-20 hanging braids on each pigtail, added beads and barrettes, and I was done! 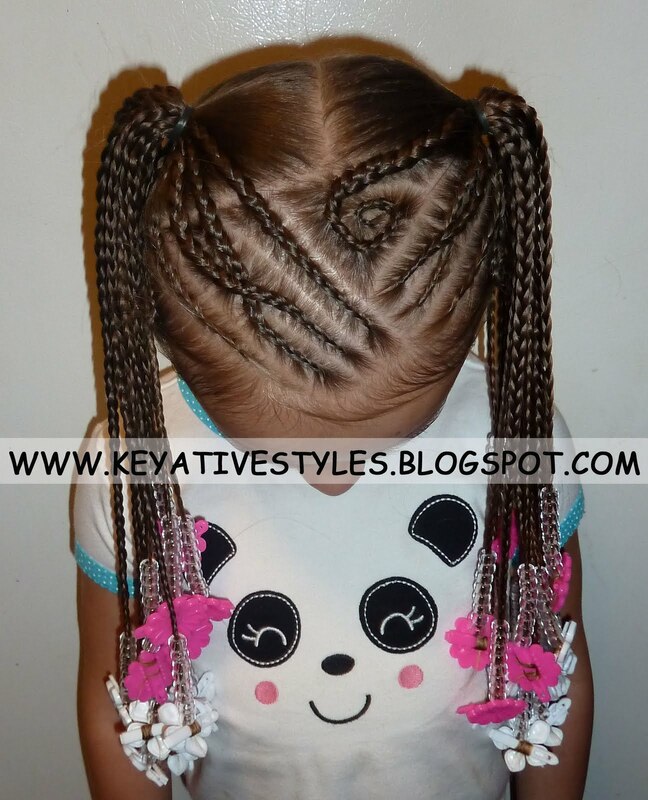 What an amazing style and great spiral cornrows!!!! Im amazed at how you keep the barrettes on her hair with just wrapping them! 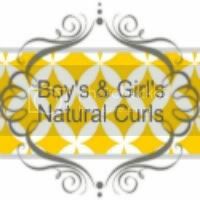 My daughters hair slips right out in no time! You never stop ceasing to amaze me! She is a doll! That is a gorgeous style....very creative!